We are coming up on our 3rd year in our charming fixer upper in sweet, little Tiverton! It's not only hard to believe what this house used to look like, but also hard to believe how much we've done in a short 3 years, on our own, amidst careers, getting married, traveling, and just plain old LIFE. Last year I showcased all we had done 2 years in with some drastic before and afters. Most of the heavy duty work was done in those first 2 years, with the renovation of the entire upstairs and 1/2 of the downstairs, along with some drastic work on the exterior. 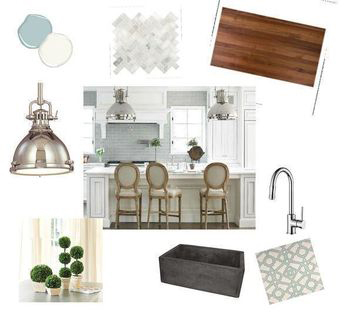 As we approach our House-aversary, I'm focusing on my Kitchen Dreams! Yup, that's right. 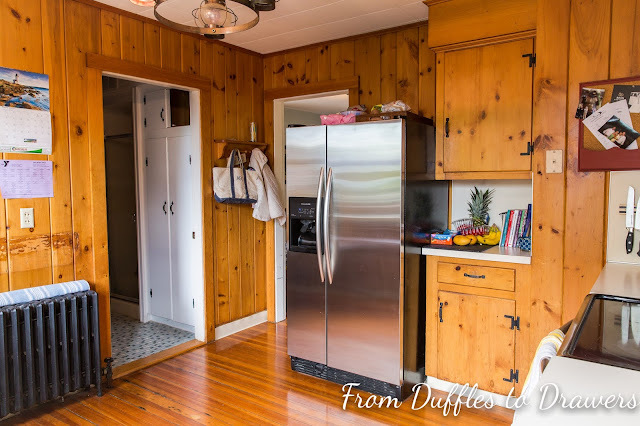 We are taking our "charming" wood paneled, cramped, dingy kitchen into the 21st century. Our *last* BIG home renovation will take place this summer and the dumpster arrives June 1! Break out the dusk masks, crowbars and inspiration boards. Not only is this renovation the kitchen, but also our downstairs bathroom. Double whammy. And we have some big plans in store that include removing walls and moving things around drastically. Here we go! 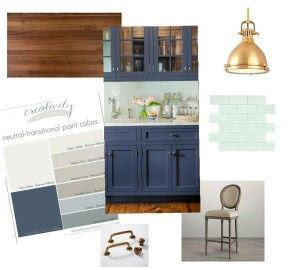 Like the bathroom renovation I am having some serious debates about what I actually want. We DO know we want a walnut butcher block kitchen island + open floor concept + pine wood floors + 1-2 big windows looking out over the gazebo & water. Luckily all our stainless steel appliances that came with the house are still in good shape, but everything else will need to be replaced. Two very different ideas. Of course I have been on Pinterest every free second to try and wrap my head around all the different choices! Our goal is to gut the space back to studs and THEN figure out the layout. So, my biggest priority initially will be to pick the location of the sink, island, cabinets, appliances, windows, and pantry. Luckily for me, my talented and handy husband will be designing and building our cabinets, along with pretty much everything else in our kitchen, so that I can focus on the upcoming photography season of weddings and family portraits! 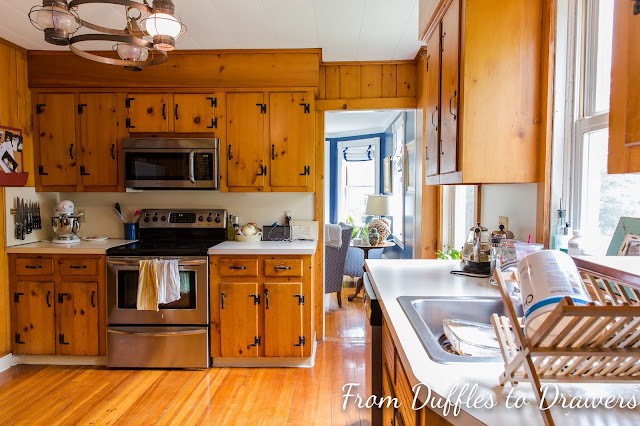 I'm excited to get back to blogging a little more regularly and sharing updates on our Kitchen Reno progress in the coming months! Stay tuned friends.